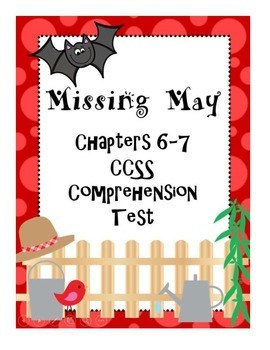 This is a common core aligned comprehension test for Chapters 6 and 7 of the novel Missing May by Cynthia Rylant. 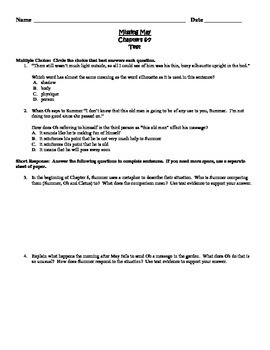 The test contains 2 multiple choice and 8 short/extended response questions. 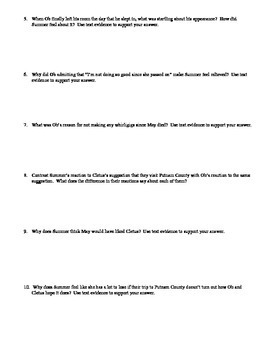 Purchase also includes an answer key, with sample answers to the written response questions. Please follow me to be informed of product updates, revisions, and new product uploads. 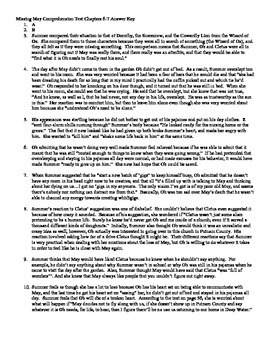 I am constantly adding more products, and improving previously posted items. Thank you for looking!